Craftsman 6-in-1 Screwdriver Just $5.20 Down From $12! You are here: Home / Great Deals / Craftsman 6-in-1 Screwdriver Just $5.20 Down From $12! Pickup this Craftsman 6-in-1 Screwdriver for Just $5.20! Down From $12! 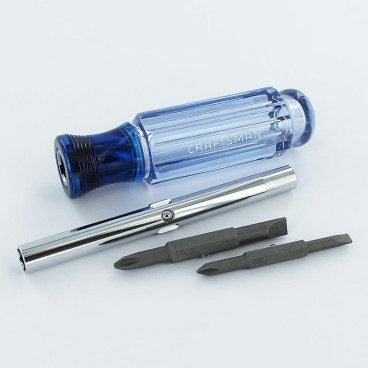 This Craftsman screwdriver is designed to replace a Phillips #1 and #2 screwdriver, a slotted 3/16 and 1/4 screw driver and a 1/4 and 5/16 nut driver. Additionally the tool is labeled for easy identification. Of course, this handy six-in-one screwdriver also enjoys the lifetime Craftsman warranty.